Enjoy this delicious dip while watching the marathon or cheering on the Red Sox during the game on Patriot’s Day. With presentation like this, those who are watching the events with you will be wowed by your cooking and artistic finesse. Serve as soon as possible after making this. It tends to get watery the longer it sits. It should be okay for a few hours after making though. 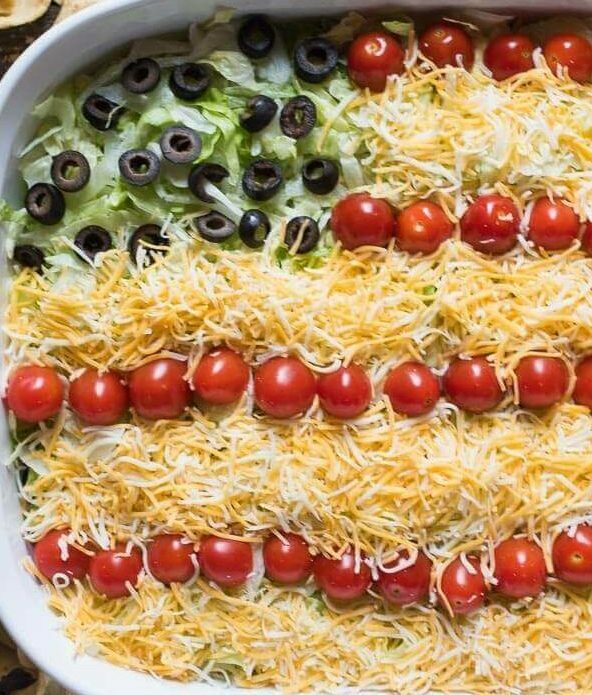 Make sure to let us know if you enjoyed this delicious and artistic Patriotic Layered Taco Dip!